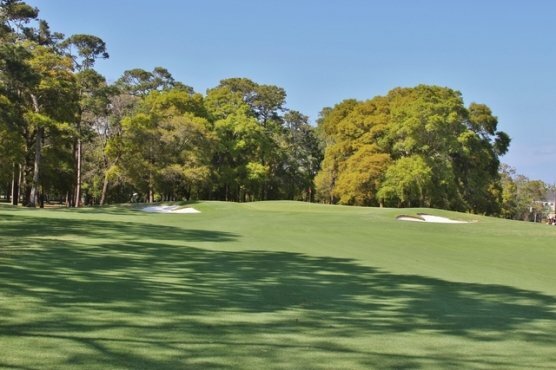 With the Grand Strand having over 100 golf courses, it’s not hard to find a Myrtle Beach golf outing on any particular weekend, especially during the summer. What is a Myrtle Beach golf outing? There are many different types of Myrtle Beach golf outings. Some might consider a Myrtle Beach golf package a golf outing. When you get a group of friends or golfing buddies together for a few days and play some of your chosen Myrtle Beach golf courses, you might consider that a Myrtle Beach golf outing. Mostly we call local tournaments and charity functions on the golf course a Myrtle Beach golf outing. There are a few local tournaments that are considered a top draw and a big Myrtle Beach golf outing. One of the biggest and most popular tournaments in the Myrtle Beach area is The Myrtle Beach Fall Classic. Naturally, from the name of this Myrtle Beach golf outing, this tournament is held in the fall and is a huge draw for people around the country. Another big Myrtle Beach golf outing is the March Championship. As the name implies with this tournament – it’s normally held the first week of March each year. This Myrtle Beach golf outing has a payout for players that contains over $10,000 worth of prizes for the winners of each of the flights. The biggest Myrtle Beach golf outing in the area is quite possibly the Myrtle Beach World Amateur Golf Handicap Championship. This tournament is held at the end of the summer season and brings players from around the globe. This particular Myrtle Beach golf outing also has several nighttime off-course functions that allow for meeting others from all around the world. In addition to local tournaments, there are many Myrtle Beach golf outings that are charity fundraising events that will consist of not only a round of golf – complete with a tournament and prizes, but usually some type of breakfast, lunch or dinner and perhaps a pairings party or a social awards banquet after their round. Mcleod Healthcare used to have a charity ball in the fall to raise money for the local hospital, but last year they changed to a Myrtle Beach golf outing instead. While the entry fee was quite steep (remember this if for charity, folks! ), everybody involved loved the outing and almost all vowed to play in it the next year. They held their Myrtle Beach golf outing at Grande Dunes (resort and members course), provided fabulous “goodie bags” to each golfer – consisting of apparel, and choices of a pair of shoes or sunglasses and many other items. They followed the first round with a cocktail party for all participants and their guest that was the talk of the town. If you are looking for a great Myrtle Beach golf outing that benefits a great charity, we recommend you check out the McLeod Healthcare golf tournament – for a great cause, and some fantastic rounds of golf.